The lemon tiramisu will never reach the fame of the classic coffee variation, but it is certainly becoming one of the most popular versions. With its fresh and lively, every spoonful is light to the palate, and in addition it can be varied in many ways, from the fastest to the lightest; in short, how to resist it?! In a saucepan, bring to 121 ° C (1) the sugar with 2 tablespoons of water (take them from the 100 ml indicated in the ingredients). Once the temperature is reached, pour immediately the syrup on the eggs and whip (2) until they reach a very foamy consistency with a light color. Separately, whip the cream (3). Reduce the mascarpone in cream (4), and then add to it first the mixture of eggs and syrup (5), always being careful to gently blend from bottom to top, and then the cream (6). Add the lemon zest (7) to the cream. Prepare the mixture by mixing the lemon juice with water and a couple of teaspoons of sugar (optional), and immerse the Savoiardi biscuits (ladyfingers) in it (8). 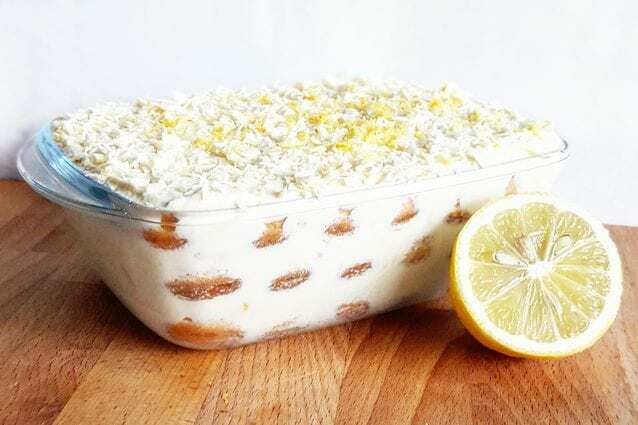 Now you are ready to assemble your lemon tiramisu, intersperse a little cream with the ladyfingers (9) and finish or simply with a little lemon zest, or adding some flakes of white chocolate . How to prepare the liquid to soak the lemon tiramisu? The easiest one to prepare for the lemon tiramisu is the one with one part of water, one of lemon juice and a little sugar according to your taste, but try also other variations, just experiment. We suggest you try adding a little liqueur, limoncello (lemon liqueur) and ginger liqueur are just perfect. How to replace the mascarpone? Try to replace the mascarpone with ricotta cheese or Greek yogurt, also the lemon cream is excellent. All three of these variations can be accompanied by cream, but not necessarily. 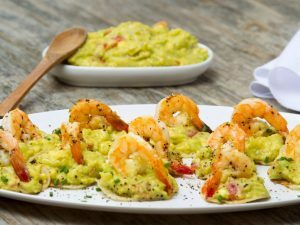 To give them a taste of lemon, it is enough to mix these creams with lemon zest (obviously, this is different for the lemon cream that you have to cook). – If you are not sure of the taste of the liquid to soak the tiramisu, do not hesitate to taste it alone and with a ladyfinger (or another cookie). – If you are not sure of the degree of the biscuit imbibition, just try one biscuit leaving it aside for a few minutes, if it will collapse it means it is too much soaked, otherwise you can soak it more. Savory easter dove cake: a quick and tasty variation of the traditional Easter cake!